Having been the first spring manufacturer to be nationally approved to BS5750 when initially registered in 1985 (now known as ISO9001), Airedale Springs was delighted to receive a glowing report from the Lloyds Assessor during a recent audit of it’s quality management systems. The Assessor praised the company’s continued comittment to quality and noted that “the recent investments and improvements to the company’s processes have resulted in a much improved service to its customers and a better working environment for whole Company”. Airedale Springs continues to win new business with the addition of 96 new valued clients joining the fold in 2012. 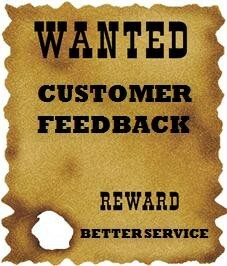 Over the coming months we will be seeking feedback from all our customers via an online survey. Your support in our efforts to find ways of improving our customer service will be much appreciated.